This film gives you helpful tips all about care with the immobilisation orthosis, medi Arm fix. The medi Arm fix can be used after operations on either the left or the right shoulder. For postoperative use, the medi Arm fix is fitted to the patient while he is still in the operating theatre to avoid harmful movements of the operated shoulder when the patient is repositioned. This process is possible with the patient lying on his side or on his back. 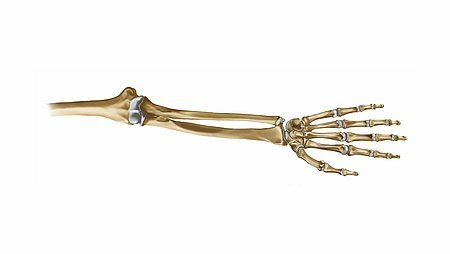 Once the medi Arm Fix has been adjusted properly, you can also don the product alone after the operation. To put it on, open all the straps. Clamp the end without the Velcro fastener carefully under the affected shoulder between your elbow and your upper body and close the waist belt below the chest. Make sure that the Velcro fastener on the waist belt is on the same side as the affected shoulder. This prevents you accidentally opening the waist belt with the arm of the operated shoulder. Pass the shoulder strap over the healthy shoulder and attach it to the waist belt. Check the correct positioning in the mirror. Ask your doctor or prosthetist/orthotist when and for how long you should wear the orthosis. In order to prevent adhesion of the joint structures as a result of the immobilisation, it is advisable to carry out gentle swinging (pendulum) exercises. To do this, open the forearm loop and carefully carry out circular pendulum movements. As treatment progresses, the upper arm loop can be opened as well. But you should always ask your doctor about the type and duration of exercises for your individual situation. 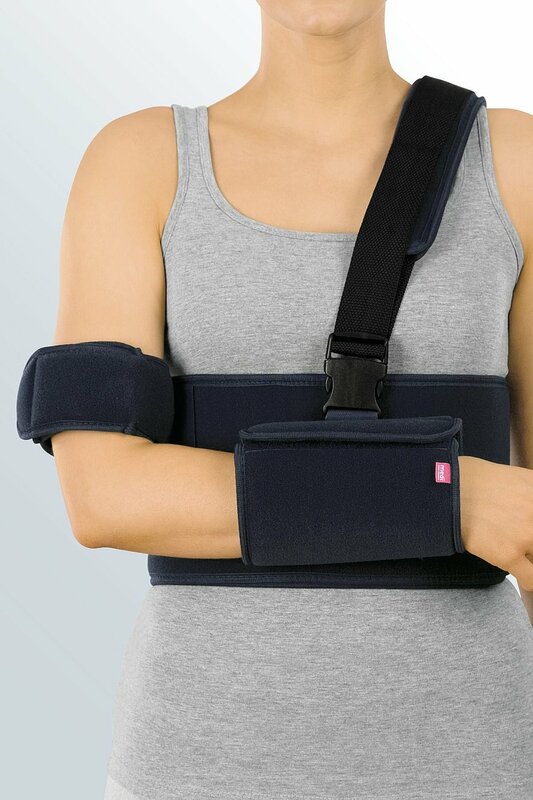 Here you can find more information about medi Arm fix shoulder immobilisation support.